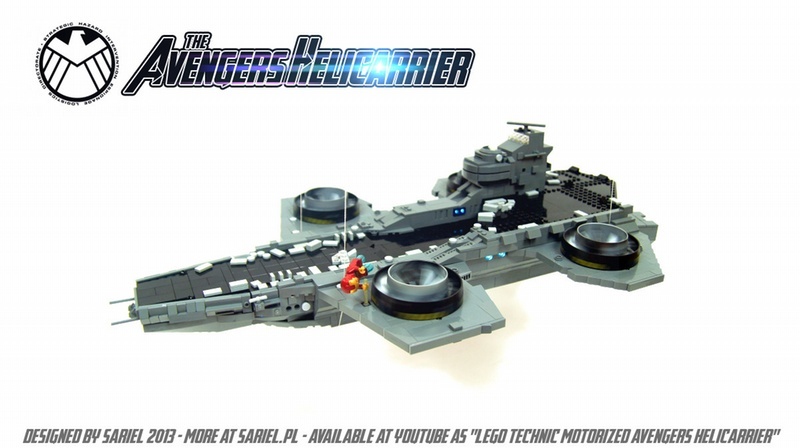 Let’s climb in the way-back machine, constant reader and check out this microscale Avengers Helicarrier from June of last year. The builder is TBB regular Jack Marquez Ewok in Disguise, who brings his typical style and skill to the rather unlikely vehicle. 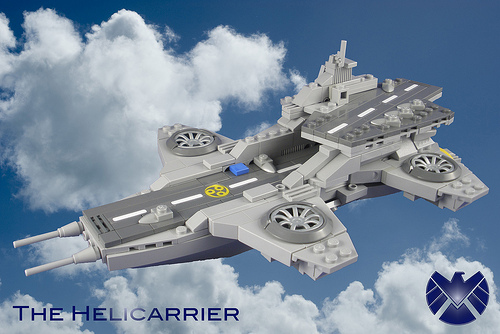 A more recent take on the Helicarrier come from MOCpages resident Sariel, who adds light, motion and out of scale minifigs to the creative mix. Nick Fury would no doubt be pleased…if he is ever pleased.